Everything you wanted to know about Resident Evil 2, including endings, character deaths, how to unlock the true ending, and more. If you've played the original 1998 version of Resident Evil 2 a lot of the plot points of the remake will be familiar to you. That doesn't mean there won't be events and scenes in the Resident Evil 2 remake that won't surprise you. In this Resident Evil 2 Spoilers Guide we'll give you all the answers to the key questions you have about the game's plot, multiple endings, and characters. Want to know who dies in Resident Evil 2 or how long Resident Evil 2 is? We've got answers to those questions, too. It goes without saying that this page is full of spoilers. We've got a list of questions just below this spoiler image which you can click to take you directly to an answer, but if you really don't want to have anything about Resident Evil 2 remake spoiled, then leave this page now. How Many Endings Does Resident Evil 2 Have? What happens on the 2nd Run playthrough in the Resident Evil 2 Remake? What Are The Main Differences Between Claire and Leon's story? In Resident Evil 2 Remake? Do Leon and Ada Kiss in the Resident Evil 2 Remake? 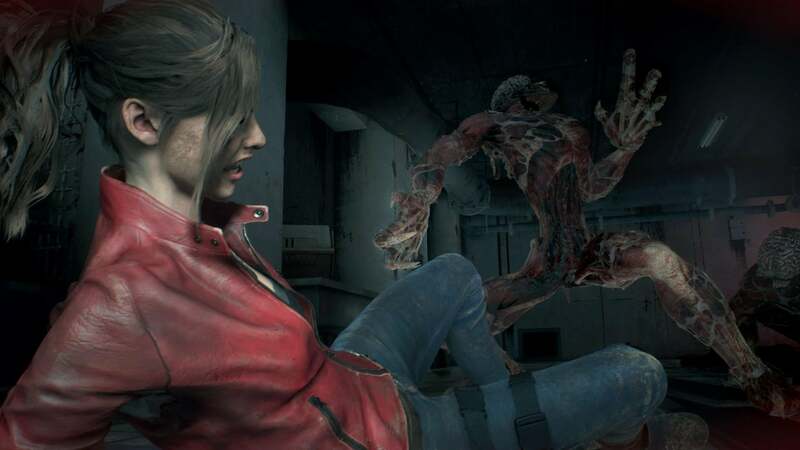 Does Ada die in the Resident Evil 2 Remake? 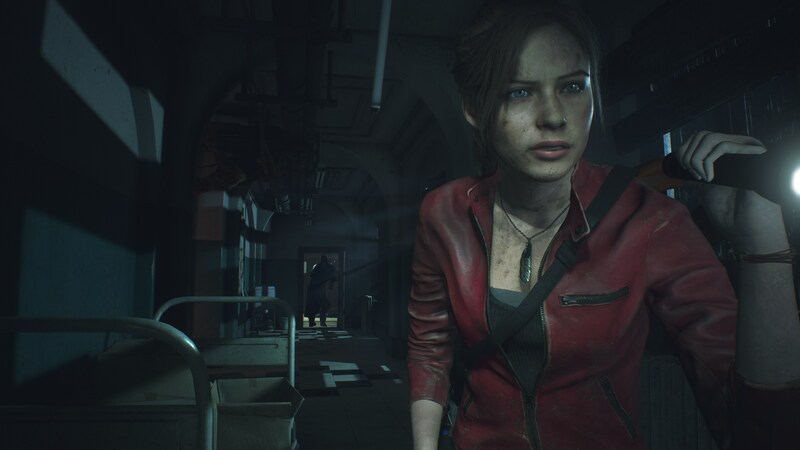 Does Annette Birkin Die in Resident Evil 2 Remake? Does William Birkin Die in the Resident Evil 2 Remake? Does Mr. X Die in the Resident Evil 2 Remake? What Happens After You Finish Resident Evil 2 Remake? How Long is Resident Evil 2 Remake? Resident Evil 2 has one true ending that can only be unlocked by beating the campaign twice. 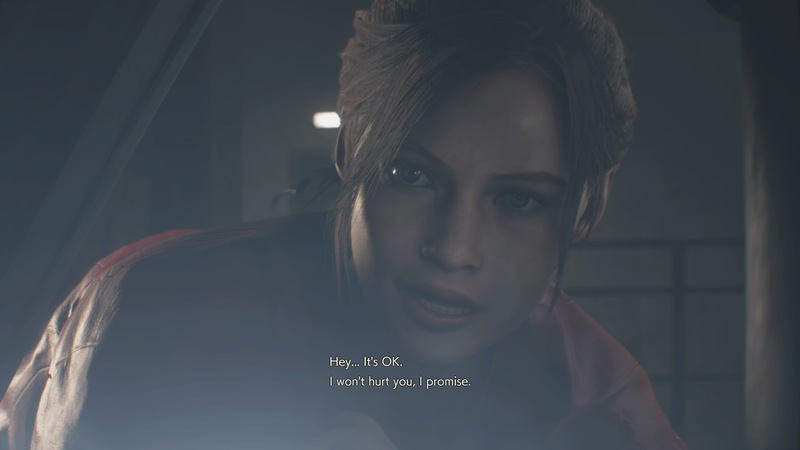 Once with Leon Kennedy, and the other with Claire Redfield. It doesn't matter which character you choose first, but the second playthrough should be made using the 2nd Run mode that is unlocked after you finish the game once. There are some slight dialogue differences depending on who your first protagonist is. If you just beat the main story campaign in Resident Evil 2 once, you'll get a character ending. But both Leon and Claire's individual endings are nearly identical. 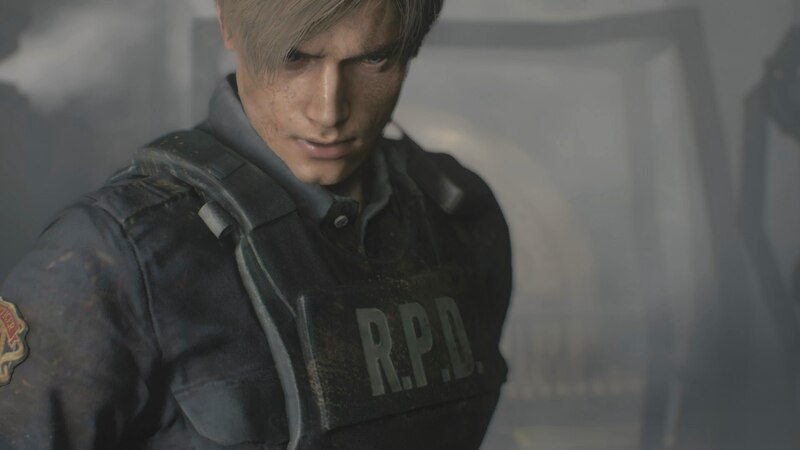 Leon's story will take him through his first day at Raccoon City Police Department which is already overrun by zombies by the time he gets there. Along the way he'll meet up with a mysterious woman named Ada Wong and together they head underground to Umbrella's laboratory to retrieve a sample of the G-Virus. Once the G-Virus is obtained, Umbrella's lab will begin to self-destruct, and Leon must escape to the surface. Along the way he'll face two bosses: William Burkin's mutated G monster, and the Tyrant Mr. X. When both bosses are defeated Leon will discover that Claire is also in the same underground laboratory and that she's secured a train that leads to the surface. Players race against the clock until they reach the train in time. Leon, wounded from his boss fights, enters the main cabin of the train where he meets up with Claire and Sherry Birkin. The scene then ends with a shot of the back of the train being broken into by an unknown enemy before cutting to black. Claire's path also ends with her in Umbrella's underground laboratory but instead of retrieving a sample of the G-Virus, she's looking for an antidote to cure Sherry's G-infection. Upon the successful retrieval of the antidote, Claire rushes to cure Sherry but must face off against William Birkin's infected G-monster. After defeating William, Claire cures Sherry and the two rush to escape the self-destructing lab. Claire and Sherry reach the train, but before they can start it up William's evolved G-monster attacks Claire. After another fight, this time armed with a Gatling gun, Claire and Sherry get the train started and head towards the surface. The scene ends with Leon Kennedy, who managed to hitch a ride on the train, entering the main cabin to meet up with Claire and Sherry. The scene then ends again with a shot of the back of the train being broken into by an unknown enemy. Instead of just teasing the enemy at the back of the train, either Claire or Leon (depending on who you played your second campaign) goes to the back of the train to investigate. Once they reach the back of the train cars, a final version of William's G-Monster bursts through the back cabin. Players must take down the giant, tunnel snake version of William one last time before successfully making it to the surface. Once Claire, Leon, and Sherry are safely at the surface of Raccoon City the sun has risen and cleared away the heavy rain that was hitting Raccoon City on the night of the zombie attack. Suddenly a truck heads towards the group, and Claire and Leon wonder if it's an infected zombie driving the truck. Instead, it's a normal human who flips off Leon. Laughing, the three head towards the sunset as Sherry asks whether Leon and Claire will adopt her. In Resident Evil 2 players will go through the main story campaign twice in order to reach the true ending. 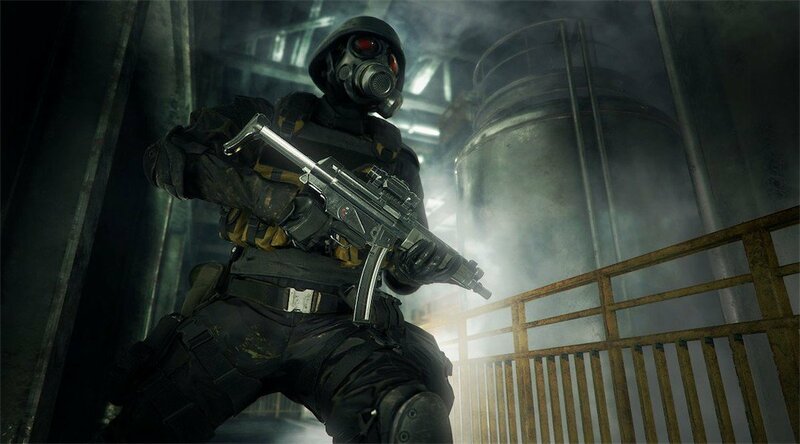 The first playthrough will play through a longer version of the initial Raccoon City Police Department area, while the second player will play a shorter, but more difficult version of the same area (assuming you choose the 2nd Run option. Depending on who you choose as your first protagonist, either Claire or Leon will arrive at a gas station on their way to Raccoon City. This area serves as a tutorial where they learn the controls and encounter their first zombie. The tutorial is identical for both characters except for some minor dialogue changes and Claire arrives on a motorcycle while Leon arrives in his police car. From there the pair join and head towards Raccoon City. This is where things will start to diverge for the two characters. After being swarmed by zombies in the city, Leon and Claire are separated by a burning car. Depending on who you play first, either Claire or Leon will arrive at Raccoon City Police Department first. Once there, they'll meet Lieutenant Marvin Branagh, a wounded officer in RCPD. If you play as Leon, Branagh will speak to you like a senior officer on the force, while if you play as Claire, he will treat you as a civilian. In both situations, players will have to find three medallions to unlock a secret passage and escape the zombie-infested police department. In the second time around, players will be in control of the character they didn't beat the main campaign with the first time. After getting separated in the fire, either Claire or Leon will arrive at the back entrance of the Raccoon City Police Department. They'll meet up with the protagonist they're not playing as before being forced to find another way into the police department after a horde of zombies begin to attack. Once inside the police station, they'll find the place abandoned and will be tasked with doing an abbreviated version of the three-medallion quest. The hallways will have more enemies, including Lickers, and Mr. X will already be roaming the station. Once players obtain the three medallions, they'll escape through the same secret passageway. Once both characters escape the police station the first time, that's when things begin to diverge in more story specific ways. Both characters will have access to an area unique to their story and play as a second character unique to them as well. Here are the main differences. 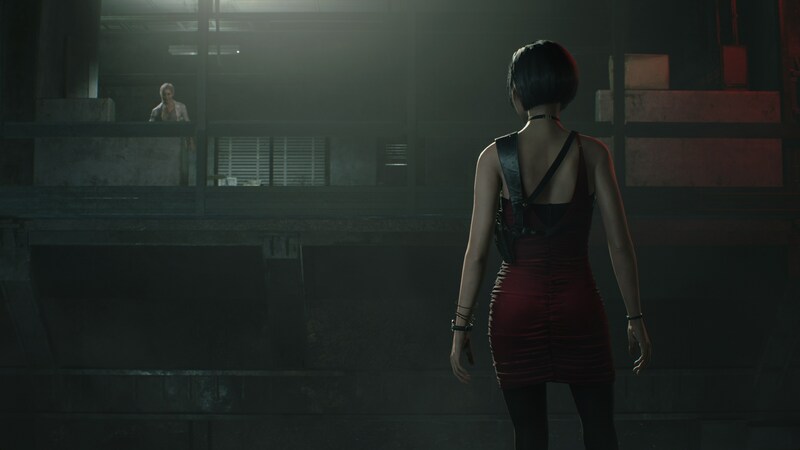 In Leon's main story, once he escapes the police station the first time, he will encounter a mysterious woman named Ada Wong. She tells Leon that she's with the FBI trying to find out what's happening in Raccoon City. Once the pair escapes the police station together for good, they'll head into Kendo's gun shop before going into the sewers towards Umbrella's secret lab. Along the way they'll encounter Annette Birkin who ends up wounding Leon. This is when players will take control of Ada Wong as she hunts for Annette in the sewers. After a long chase, Ada is trapped by Annette and Leon goes to rescue her. Once saved the pair heads to the Umbrella lab together. From there the game will lead to Leon's ending. After escaping the police station, the first time Claire will find a lost Sherry Birkin who is wandering the city by herself to look for her parents, William and Annette Birkin. However, Sherry is taken away from Claire by Police Chief Brian Irons, who is working for William. Irons takes Sherry to the nearby orphanage while Claire must find her way to escape the police station one more time. Once successful, players will take control of Sherry as she uses stealth to try and escape Irons and the orphanage. Sherry manages to wound Irons and escape into the sewers. 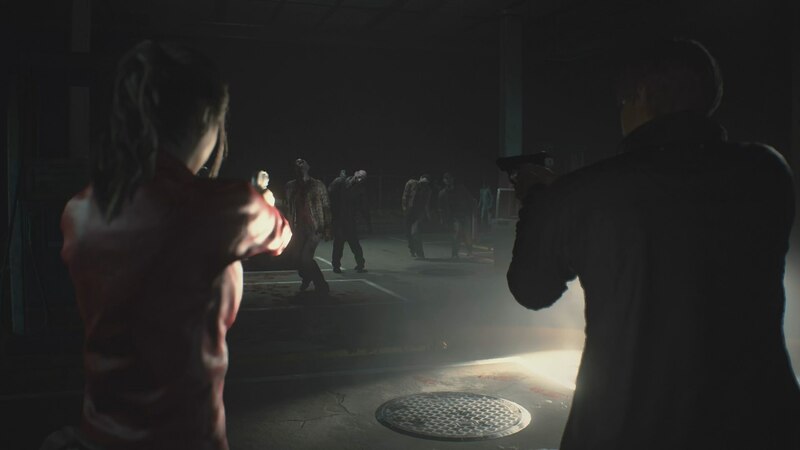 Players regain control of Claire who rushes through Raccoon City towards the orphanage while escaping Mr. X in the streets. Once Claire enters the orphanage she discovers Irons who dies after a zombie worm bursts out of him Alien-style. Claire discovers the secret door to the sewers and goes in to find Sherry. By this time Sherry has been infected by the G-Virus and Claire must rescue her the same way Leon saves Ada in the sewers. Once successful the two head towards Umbrella's lab to find a cure, setting in motion Claire's ending. 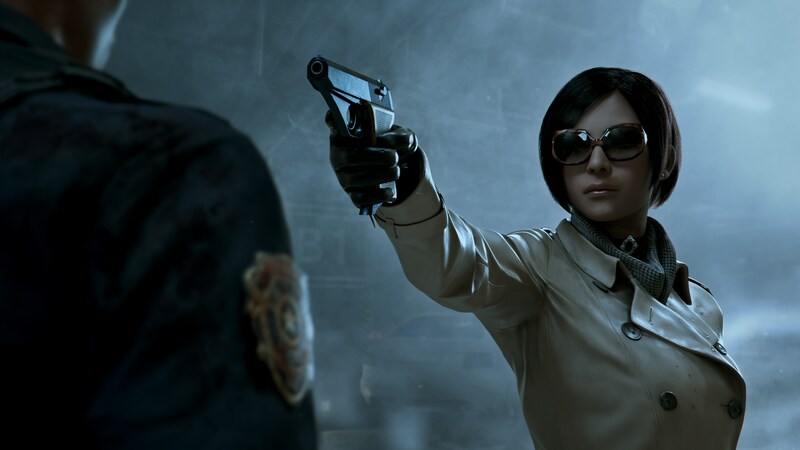 Ada Wong it turns out is not an FBI agent, but rather a mercenary looking to get her hands on the G-Virus. She meets Leon Kennedy who she figures could be useful in getting the virus. Along the way, Leon takes a bullet for Ada and later rescues her in the sewers. Incapacitated after getting a steel shard stuck in her leg, Ada asks Leon to get the G-Virus for her while still pretending to be FBI. Ada kisses Leon in the train towards the Umbrella laboratory, though it's unclear if the kiss is because she really has feelings for him, or if it's to convince Leon to help her. After getting the G-Virus from the Lab Leon meets Annette Birkin again who reveals the truth about Ada. 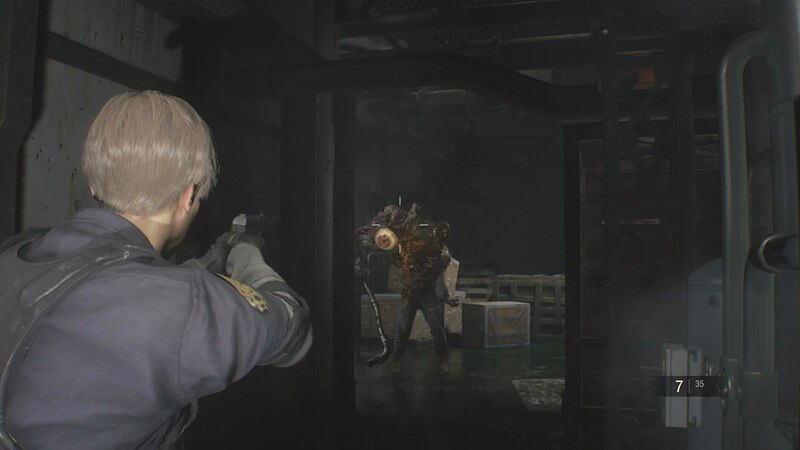 After defeating William, Leon meets with Ada who asks him to hand over the G-Virus. But Leon refuses and gets into a standoff with Ada demanding to know the truth about her intentions. Ada points her gun at Leon but is shot by Annette, who then collapses. As the lab is self-destructing Ada is thrown over the edge of a bridge and Leon grabs her. Unfortunately, he can't pull her up and Ada falls down a huge hole along with the G-Virus. But she doesn't die. She later reappears when Leon is fighting Mr. X in the underground lab and secretly throws him a rocket launcher to help him in his fight. She says that they're even now before heading off somewhere. The two will later meet again in Resident Evil 4. Yes, but weirdly enough she dies differently depending on the playthrough. Annette will be wounded in a fight with William in the underground lab. In Leon's campaign she will have enough strength to shoot Ada and destroy the G-Virus before collapsing from her wounds and dying. In Claire's story, Claire will send Annette to administer the G-Virus cure to Sherry as she stays behind to fight the mutated William. After William is defeated, Claire will meet up with Annette who successfully cures her daughter Sherry. The two share a moment before Annette dies from her wounds that were inflicted by William, and Claire and Sherry escape the underground lab together. William Birkin will be a mutated monster each time you meet him, and each encounter serves as a boss fight. You'll defeat him several times, but he will come back more mutated each time until finally you blow him up for good in a fight on the escape train. Mr. X is unkillable for most of the game until the final fight against him in Leon's story mode. He will be very tough and seem mostly invulnerable until Ada secretly throws you a rocket launcher at which point you blow up his entire top half. Nice. Upon reaching the true ending you'll unlock The 4th Survivor. This is a time trial mode where players take control of Hunk, an elite agent working for Umbrella's Security Service tasked with retrieving the G-Virus. Players will find evidence of Hunk's existence during their playthroughs as Leon and Claire, but will not actually meet him in the main campaign. Instead Hunk's story is picked up in the 4th Survivor where he's the lone USS agent who survived the events of the night. Starting in the sewer, Hunk requests for immediate evacuation and must meet the helicopter in front of Raccoon City Police Department. However, the path to the entrance is overrun with every kind of enemy players encountered in Resident Evil 2. Hunk's escape path consists of the sewers and all parts of the Raccoon City Police department. As the front door is blocked, Hunk has to find an alternate way out of the station through the side entrance. 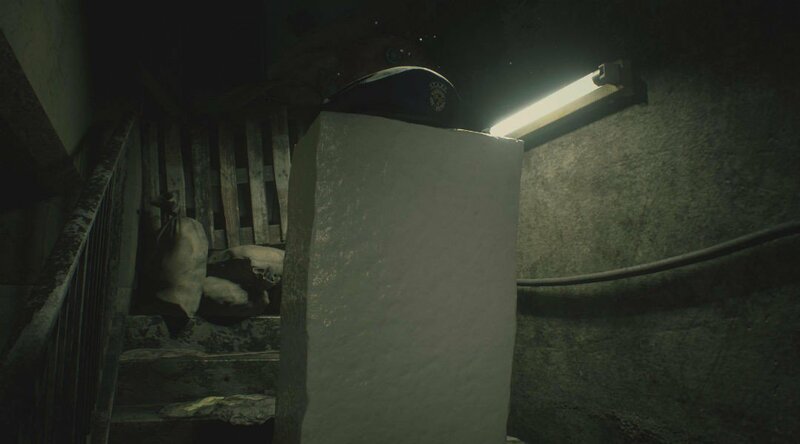 Despite having been killed in Leon's playthrough, Mr. X shows up in the police station and Hunk must dodge him and escape. Once Hunk reaches the police station entrance a helicopter comes and picks him up. Completing 4th Survivor will unlock Tofu Survivor. In this mode, you'll play as the mysterious block of Tofu, making it through the exact same mission as Hunk, but with only a knife a herbs with which to defend yourself. All in all, the main story of Resident Evil 2 should take you right around 12 hours in total to beat. The first playthrough will take about five to six hours, regardless of which character you pick, while the second playthrough can be done in four or five hours. A complete run of the elite 4th Survivor mode can be done in right around 10 minutes or less, although good luck making it through alive on your first try. There is post-launch content planned for Resident Evil 2, but Capcom hasn't shared concrete details regarding those just yet. Check out our Resident Evil 2 review for our full impressions of Capcom's latest zombie survival horror. Tagged with Capcom,	Guides,	Horror,	PC,	PlayStation 4,	Survival Horror,	Xbox One.